Children, our pride and joy, develop and grow through experiences and real-life lessons. 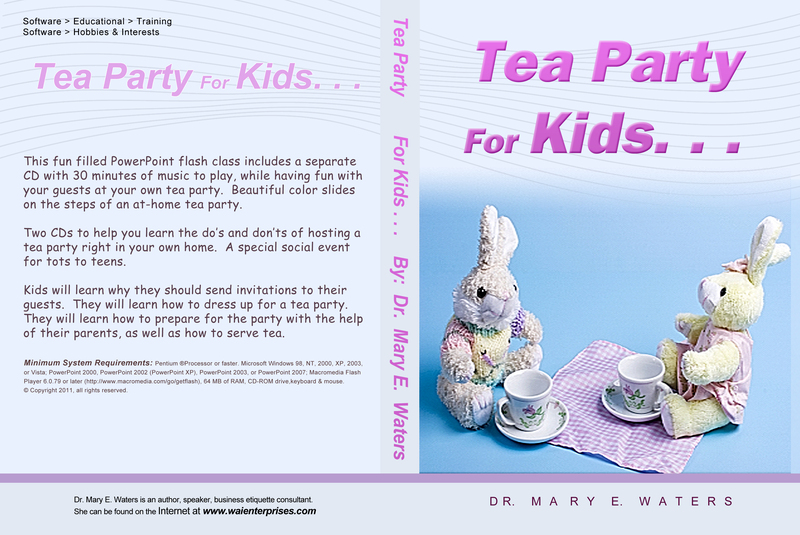 Tea parties, for example, teach table manners and let children mimic and understand as well as relate to adults. They also train imagination and help with practicing conversational interactions. This comprehensive course touches on all points that need covering when planning a tea party, from guest lists to seating arrangements as well as shopping lists and table decorations. Help your little one get into character and let his or her eyes shine. Because, in a kids eyes, there is nothing better than hosting a real tea party! ● In case you are in need of hard copies, all that you need to do is find a working printer!